It's still National Strawberry Month! 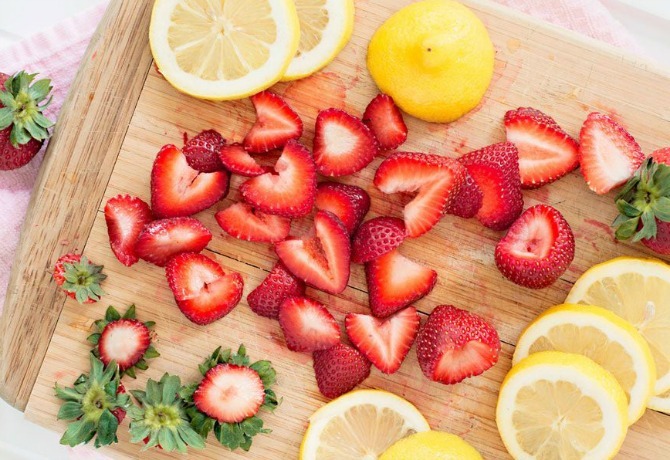 Try this refreshing Tangy Lemon Stuffed Strawberry recipe! Preparation: Prepare Tangy Lemon Pudding per packet instructions, as the filling. Carefully cut the tips and the stems from the strawberries. Use a small spoon and hollow out the inside of the berries. Spoon or pipe the pudding into the berries and serve chilled. Place the prepared berries in the fridge for a few minutes to allow the filling to set if needed.